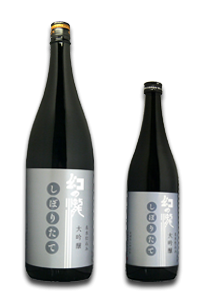 Tominoka rice, originated with Yamadanishiki rice and Oyamanishiki rice, brought up locally in Toyama is used for this sake. Only for winters, with full of aroma and dry taste brought by the brew with low temperature and long brewing time. Fruity and fresh taste is typical winter taste.